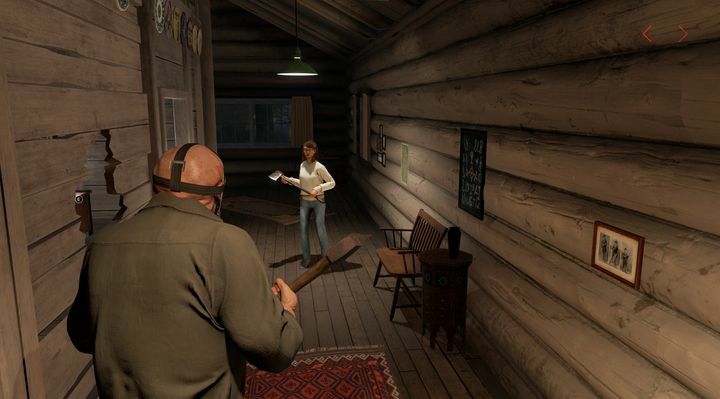 PS Plus subscribers can enjoy a new batch of free games courtesy of Sony this month, with the headline game for October being 2017’s Friday the 13th: The Game. PS4 owners will also be able to play another four games for nil this month if they’re on PS Plus, as Sony has revealed October’s line-up of games on the PlayStation blog. Aside from Friday the 13th, Laser League is another freebie to get hold of this month for PS Plus members. This is a multiplayer game set in the near future which requires good team tactics and reflexes to beat, while it’s also one of the best-reviewed games on PS4 right now. The Bridge is also available this month, a game which offers dozens of thought-provoking puzzles to enjoy. This being a cross-buy game, it’s also available for the PS3 and PS Vita consoles. Sony also brings two PS Vita games to the table this October, Rocketbirds 2: Evolution and the cyberpunk adventure 2064 Read Only Memories, which are also available on PS4 via cross-buy. Those gaming on PS3 can get hold of Master Reboot too, an original indie game which came out in 2013 (do note Sony will stop offering free PS3 and PS Vita games on PS Plus in March next year). As is usually the case, this is a good line-up of games for the month, while it’s also worth noting that the quiz game Knowledge is Power continues to be free for PS Plus subscribers, and will be available through November 6 along with the rest of the October line-up. Also, it would be a great thing is Sony kept releasing great games on PS Plus every month as it’s done over the course of this year, so that those on PS Plus can keep enjoying good games on Sony’s platform in what remains of 2018.